New Supreme Court Justice Brett Kavanaugh said tonight he has “no bitterness” over his contentious confirmation battle, as he took a ceremonial oath in front of scores of supporters who filled the East Room of the White House. President Donald Trump struck a different note, referring obliquely to the extended confirmation fight brought about by the sexual misconduct allegations raised against the nominee. 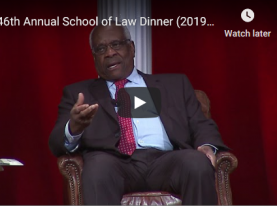 All eight members of the court were in attendance, with Chief Justice John Roberts looking down slightly as Trump referenced the controversy, while Justice Clarence Thomas applauded in support of the president’s point. The East Room was jam-packed with political luminaries and Kavanaugh supporters. Senate Majority Leader Mitch McConnell of Kentucky received a standing ovation when he entered the room, and another when he was lauded by Trump. Outgoing White House Counsel Don McGahn, Solicitor General Noel Francisco and Deputy Attorney General Rod Rosenstein were all present, with Rosenstein having accompanied Trump earlier in the day on Air Force One on a trip to Orlando, Fla., where the president addressed a police chiefs’ convention. Many other supporters of Kavanaugh’s, including former law clerks and friends who stood by him during the confirmation process, filled the room. White House staff members were bringing in extra chairs just minutes before the ceremony began. 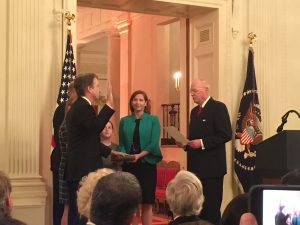 Kavanaugh had taken both of his required oaths—the “constitutional oath” administered to all federal officials under Article VI of the Constitution and the “judicial oath” required under the Judiciary Act of 1789—on Saturday evening, soon after winning confirmation in the Senate by a vote of 50-48. But it has become the norm for White Houses of either party to hold their own celebratory event, sometimes to deliver one of the oaths for the first time, but more often with a ceremonial repetition of one of the two oaths. 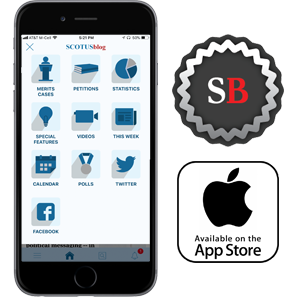 Last year, Justice Neil Gorsuch took his judicial oath for the first time in the White House Rose Garden, after having taken the constitutional oath in a private ceremony at the court the same morning. On Monday, retired Justice Anthony Kennedy, whom Kavanaugh succeeded, administered the ceremonial judicial oath to the new justice, just as he had delivered the same oath to Kavanaugh on Saturday. Both Trump and Kavanaugh lauded Kennedy for his 30 years of service on the court. Kavanaugh thanked his supporters and sought to further distance himself from the partisan tone of his Senate testimony last week. Kavanaugh indicated that his daughters, Margaret and Liza, would be missing school on Tuesday to be present when their father takes the bench for the first time. “I thank their teachers for giving them the day off tomorrow so that they can come hear two cases being argued at the Supreme Court,” Kavanaugh said.